Children Will Have A Hoot As They Find Their Own Special Place On This Adorable Woodland-Themed Rug. Unique Design Is Perfect For Seating Or Developing Gross-Motor Skills Where Children Can Hop Around Letter To Letter. 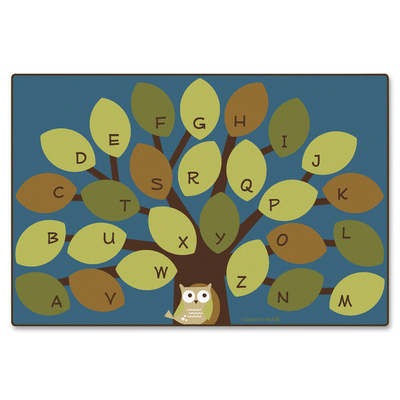 Rectangular Rug Is Safe For Children Of All Ages..
Children Will Have A Hoot As They Find Their Own Special Place On This Adorable Woodland-Themed Rug. Unique Design Is Perfect For Seating Or Developing Gross-Motor Skills Where Children Can Hop Around Letter To Letter. Rectangular Rug Is Safe For Children Of All Ages.